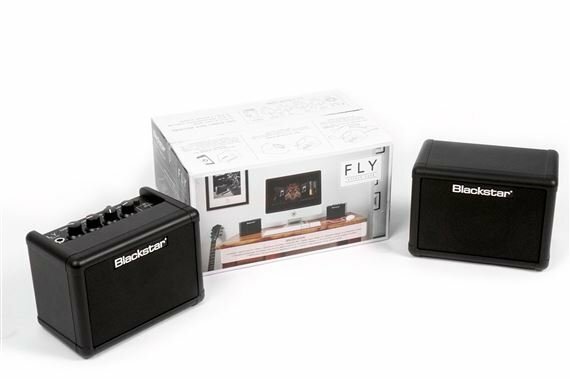 Shop Blackstar Fly 3 Mini Amp with Extension Cab and Power Supply from AMS with 0% Interest Payment Plans and Free Shipping. 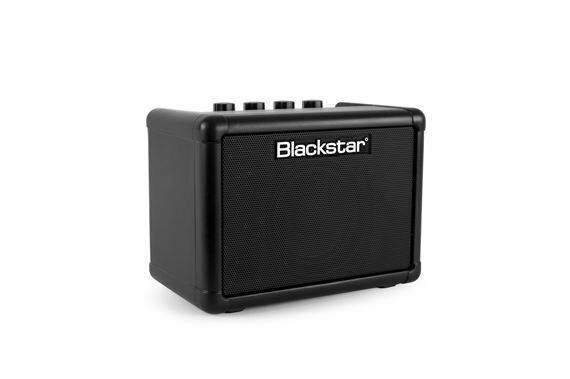 Blackstar's FLY 3 is an innovative, 3 Watt, mini amp with big TONE. The patented ISF circuit gives you unlimited adjustment over the characteristics of your tone and takes you from the USA to the UK and anywhere in-between. This combines with the 'tape' delay to give you the best sounding, fun to play mini amp available. 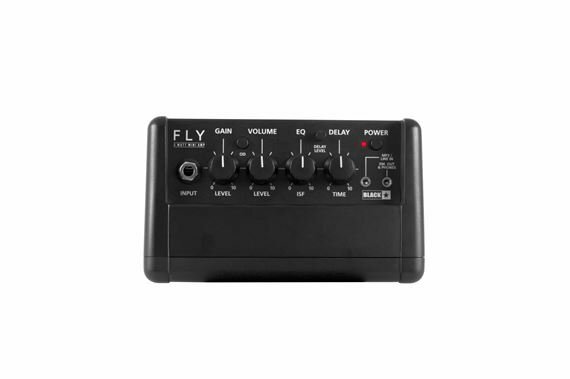 When connected to the FLY 103 cabinet it becomes a 6 Watt stereo amp for guitar or any music playback device. The FLY 3 can also be powered by batteries, enabling you the get 'the sound in your head' wherever you go! FLY 3 is THE compact mini amp for your guitar and your phone or tablet. Combining two channels, our patented Infinite Shape Feature (ISF) and a tape delay, it's the perfect take-anywhere amp. The included FLY 103 extension cab, transforms the FLY 3 into a 6 Watt stereo rig! 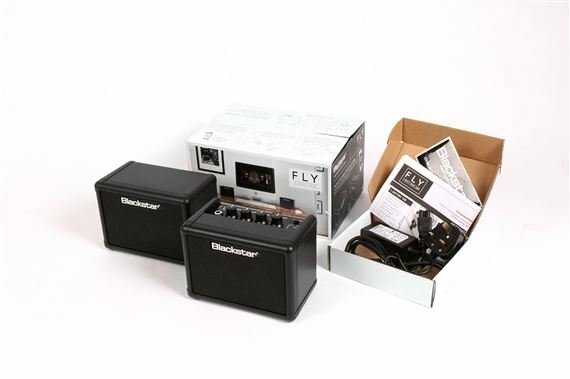 Battery Powered: The FLY 3 mini guitar amp can be battery powered or when bought as a stereo pack, it can use the included power supply. Tape Delay Effect: The FLY 3 includes an awesome tape delay effect with a tape delay level control. A mini guitar amp hasn't ever sounded this good! - MP3/Line Input: Use your FLY 3 as an MP3 speaker or as a general speaker for your computer. Also use it to play along to backing tracks while practising. Emulated Output/Headphones: Record directly to your computer, or even run it through a PA. Use with headphones to practice when you need to keep quiet. Through out the years...I've owned several micro amps. I never used them much because the sound quality was garbage. They ended up being more of a novelty item more than something for practical low volume practice sessions. The Blackstar Fly3 hits the nail on the head in that respect. It has enough volume to fill a small room and the sound doesn't break up at full volume. With the extension speaker hooked up you get a rich full sound. (especially the clean channel.) The O.D channel isn't that bad either...You might not get the sound your looking if you're trying to pound out some "Death" type Metal, but for some AC/DC, Zeppelin, and other classic rock it gets the job done. My favorite features is the digital delay and the MP3 line in. The delay lets you dial it in to achieve a reverb effect, or you can go all out and have massive amounts of echo effect. The line in lets you hook up your favorite music player for your listening pleasure or for jamming along with your favorite tunes. Stereo Mini Amp @ 6watts equipped with a delay sensation and a thrilling reverb is definitely an ace. Unbelievable! If you desire the full-stack big sound, all you gotta do is mic it! Through the years all my gears have come from American Musical Supply and only AMS i trust. They’re lightning fast, dependable and reliable. 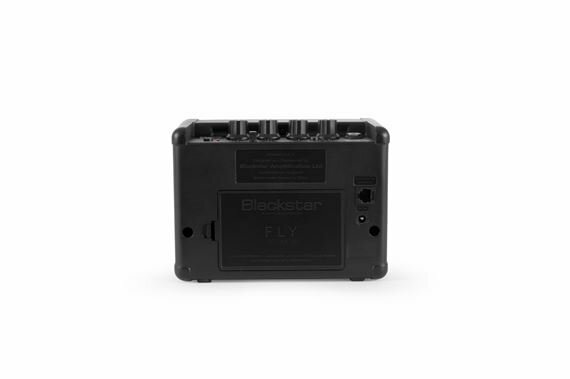 Definitely recommend the Blackstar Fly 3 to anyone musically inclined. The controls work well on the amp. Has a good amount of volume for a 3-watt amp. I keep looking for a fader switch to balance the two speaker volumes, possibly just due to the fact that their IS that extension speaker cab. The most outstanding detail of the Fly3 is that built-in Delay circuit for the guitar, No scratchiness in any of the controls...Great for that! I kept wishing also that the controls for the guitar circuit were available for the mp3 input, but the volume on my iPhone 8 was easily controlled by the phone itself and I can't fault the Blackstar folks for that because the Fly3 with extended speaker wasn't advertising that they were. This was a gift for my son, and he's quite pleased with it, so I've no big gripes. The FLY3 is tiny but mighty. Tones are clear, great for the price. I hooked up my Android phone to it as speakers for music videos & the sound was great. I bought this little amp to use as a set of speakers for my iPad and MacBook... It serves that purpose very well, but it's also a great guitar amp. I was really surprised at the tone this thing puts out. I wan not expecting such a full sound or so much volume from a "mini amp". I have owned and played through full size amps that didn't sound half as good. 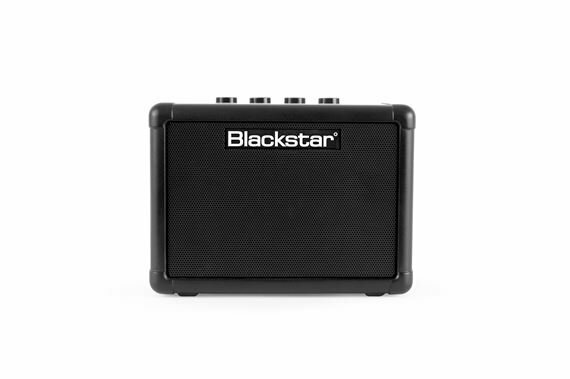 Blackstar has proven that size isn't everything with this model. This amp, unlike some of the other brands who make mini amps, is no toy... 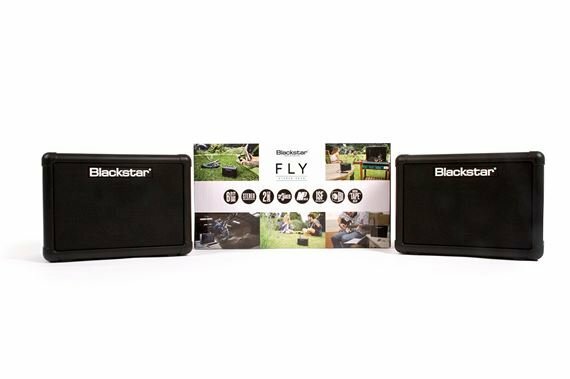 If you're looking for a small, portable practice amp you will not go wrong by choosing the Blackstar Fly 3 with an extension cab. The stereo sound is enough to fill a small room, even at only 6 watts. And, unlike some of the other mini amps on the market, this one has real tone. I liked it so well I bought another set for my wife. We play a lot of places with our acoustic electric guitars and we need a really good clean sound. With the cabinet added we get a Fender, Orange, Marshall, Blackstar, mix of clean sound. I velcroed the top of the cabinet to the bottom of the amp and it makes a nice mini stack. It's a snap to mike for the P.A. All my Fenders, Takamine, Gretsch,Martin, Washburn,Mitchell,Yamaha, etc., acoustic electric guitars sound nice and clean once you dial in your own "sweet spot sound". I have all kinds of amps and we are using 2 Roland Street cubes now and these are lot smaller. Every musician should have. I have not tried any of my electric guitars in it but I am sure they will sound clean too. Thanks AMS for great products and an extra year warranty free! I am very impressed with this Blackstar! This is no toy. 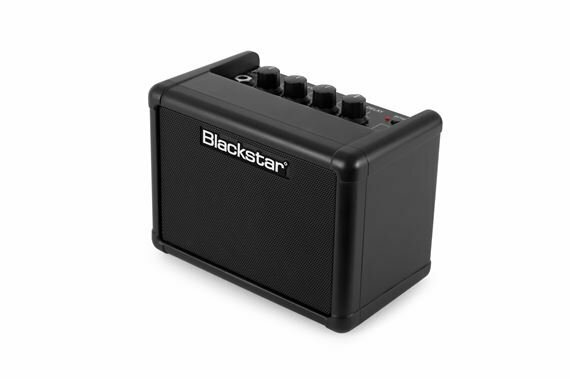 I wasn't too sure what to expect as I have the little battery operated Marshall mini-mini stack with the belt clip and it doesn't sound good at all-a very disappointing "toy" but not so with this little jeeel from Blackstar. This amp has good tone and doesn't crap out when you crank up the volume. It sounds surprisingly good! It has a great clean tone and really shines when you add the grit. With the ISF tone shaping control and my guitar's tone pots I could dial in anything from early Beatle's jangle and chime to Randy's Crazy Train dirt. Not really a metal amp but it takes pedals very well. The built in delay is the perfect touch for some good trails or just some reverb flavored slapback. It also works great as a stereo sound system for various devices. This is a very versatile little piece of gear with a big sound (I may even record with it!). Plug it into the wall or take it to the beach or campground. You NEED one of these !